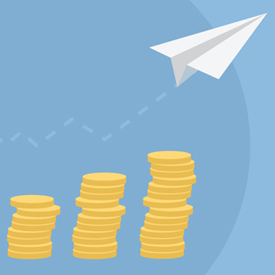 CSG Actuarial has compiled information from the NAIC and other sources, and is reporting total earned premiums in the Medicare Supplement market in 2015 totaled $27.1 billion, a 5.4% increase over 2014. The total Medicare Supplement lives covered in 2015 increased to almost 12.3 million, up 6.1% from 2014. 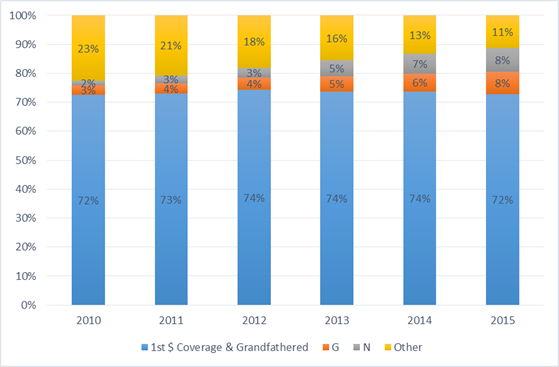 As shown below, the percentage of Medicare Supplement policyholders with Plans G and N continued to increase in 2015. 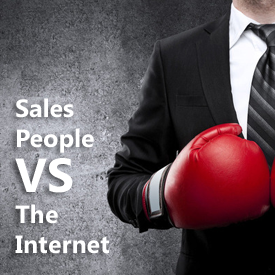 Salespeople vs. the Internet: Who Is Winning? When the Internet exploded onto the scene in the late 20th century, we heard confident predictions from many experts that sales forces would soon become extinct. Buyers would no longer need (nor want) salespeople to educate and inform them — the Internet would perform these functions instead. And smart executives would not continue to employ these expensive order takers — online order forms would do that job just fine. I guess those arguments made sense at the time, because other roles inside the corporation had already been automated or eliminated by technology. Factory workers, switchboard operators, bookkeepers, administrative pools — they’d all been replaced to some degree by automation. So it seemed completely reasonable that sales forces, too, would meet such a fate. Cost-cutting and headcount reductions would surely reach the sales team. It was just a matter of time. Well, unfortunately for the doomsday prognosticators that hasn’t actually happened. I was recently doing some research with the Sales Education Foundation, and I came across some interesting statistics. According to the U.S. Bureau of Labor Statistics, in 1999 there were 12,938,130 workers in sales and sales-related occupations the United States. Impressively, that number represented 10.2% of the total employed workforce. In May of 2014 (the most recent data available), the BLS asserted that there were 14,248,470 such workers employed in the U.S. or 1,310,340 more than there were 15 years earlier. This total now accounts for 10.5% of the U.S. employed — a slight increase from 1999. Not only does the data not support a doomsday scenario for sales forces, salespeople are in fact holding their own in the workforce. So why has the Internet not replaced our salespeople? Because the Internet never became a foe of the sales force. Ironically, it became one of the sales force’s dearest friends. Rather than reduce the power of salespeople, it made salespeople more powerful than before. Internet-enabled CRM allowed salespeople to sell more efficiently and effectively anywhere in the world. LinkedIn, Twitter, and other social networks gave sellers unprecedented insights about their customers and prospects. 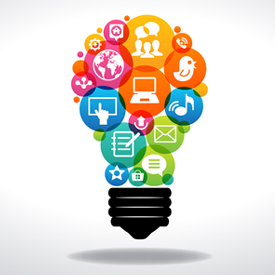 The Internet created an entire industry of sales enablement tools that never existed before. In the end, the Internet stood with the sales force, not against it. But more fundamentally, the doomsday criers dramatically underestimated the resilience of the sales force. I would argue that sales is the most in-tune and dynamic function inside any company. It feels shifts in the landscape before other parts of the organization, and it reacts to the marketplace the best. It has the strongest motive to succeed, and it adapts to change the fastest. In retrospect, it was a little naive to think sales forces would battle technology rather than embrace it. Sales forces welcomed the Internet with open arms. The Internet has changed our world more than other any other technology in the 21st century; however, it doesn’t look like it will replace our salespeople. Companies still need them, and customers still want them. It turns out that sales forces are more than just walking, talking brochures and order forms — they add a lot of value. So how will the relationship between the Internet and the sales force evolve over the next 15 years? I’m not sure, but I bet it makes our sales forces even better than they are now. 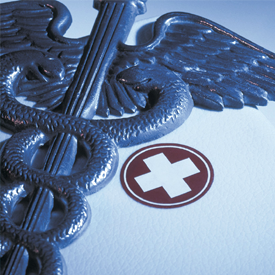 On April 4, the Centers for Medicare and Medicaid Services (CMS) released the final updates to the Medicare Advantage and Part D programs for 2017. An article from Bloomberg on the same day summarizes the impacts of the increase across the industry. The U.S. is raising payments to the insurers by 0.85 percent on average, according to a statement Monday from the Centers for Medicare and Medicaid Services, down from the 1.35 percent boost proposed in February. Payments to individual insurers can vary, because CMS gives individual plans quality bonuses and premiums are adjusted based on where enrollees live and how sick they are. The smaller increase gives less of an increase to top providers of Medicare Advantage plans such as UnitedHealth Group Inc. and Humana Inc. Other publicly traded insurers that are big providers of the private Medicare plans include Aetna Inc., Centene Corp., and WellCare Health Plans Inc. The U.S. raised rates by about 1.25 percent for this year, after a cut of about 4 percent in 2015. Medicare Advantage plans are run by private health insurers, and funded and regulated by the government. Click here to read the Bloomberg article. Everyone has to get good at one of two things: planting in the spring or begging in the fall. I know the following things to be true: Life is about constant, predictable patterns of change. The only constant factor is our feelings and attitudes toward life. We have the power of attitude, and attitude determines choice, and choice determines results. You cannot change the seasons, but you can change yourself. I am convinced that, as human beings, it is our natural destiny to grow, to succeed, to prosper and to find happiness while we are here. That we must make a constant and conscious effort to improve ourselves in the face of changing circumstances. Let’s talk about spring. Spring is the season of activity and opportunity that follows the turbulence of winter. It’s the season for entering the fertile fields of life with seed, knowledge, commitment and a determined effort. However, the mere arrival of spring is no sign that things are going to look good in the fall. You must do something with the spring. Everyone has to get good at one of two things: planting in the spring or begging in the fall. Take advantage of the day and the opportunities that spring can bring. It is the promise of spring that as we sow, so shall we also reap. For every disciplined human effort, we will receive a multiple reward. For each cup planted, a bushel reaped. For every good idea given to another, many shall be given to us in return. For every act of love given, a life of love in return. Just remember, it is a natural characteristic of springtime to present itself ever so briefly, or to lull us into inactivity with its bounteous beauty. Do not pause too long to soak in the aroma of the blossoming flowers, lest you awaken to find springtime gone with your seed still in your sack. With the intelligence, wisdom and freedom of choice given to us as humans, exercise the discipline to plant in spite of the rocks, weeds or other obstacles before you. The rocks, weeds and thorns of the world cannot destroy all your seeds if you plant massively enough and intelligently enough. Choose action, not rest. Choose truth, not fantasy. Choose a smile, not a frown. Choose love, not animosity. Choose the good in life in all things, and choose the opportunity as well as the chance to work when springtime smiles on your life. Spring shows us that life is truly a constant beginning, a constant opportunity and a constant springtime. We need only to learn to look once again at life as we did as children, letting fascination and curiosity give us welcome cause to look for the miraculous hidden among the common. Get busy quickly on your springs—your opportunities. There are just a handful of springs that have been handed to each of us. Life is brief, even at its longest. Whatever you are going to do with your life, get at it. Don’t just let the seasons pass by.